For LIVE updates from GUKPT Leg 1, follow us on Facebook or Twitter. After four days of poker we have our first main event winner of 2013 in Martin Bader. The new and improved GukPT has come back this year by putting guarantees on all their main events. The guarantee on this tournament was £200,000 and by the end of play on Thursday that had already surpassed that with the 173 that turned up and the 50 pre regs they had for Friday. Total number of entries fell just short of double the guarentee on 397. After two massive starting days we came back with a total of 159 players on Saturday with Rhys Jones leading the way. Umberan Ahktar (below) was our unfortunate bubble boy on Day 2, getting his chips all in good but getting three outer by Global Poker Index #1 Marvin Rattermaier. We knew we wouldn’t get down to a final table after the nine levels and would eventually finish with 21 players. Chiraag Thanki would lead the players into the final day, but everyone was very close in chips. It would take a few hours for us to make the final table. When we did Marc Wright held the chip lead and was big favourite to take down the title. He then went even bigger favourite as he busted Sin Melin 3 hands in, Marc turning a straight while Sinem held top two, they got it in on the river and Sinem left us in 9th for £7,150. Fantastic play from her all tournament and it was great to see a lady on the final table. In 8th place we lost Antonio Millan in one of the most crucial hands on the final. Antonio got it in with A-10 and came up against the Aces of Marc and Kings of Jamie Roberts. A king on the flop would mean Jamie took the 2.6million pot. If Marc would of held in this hand he would of had nearly half the chips in play! Antonio took home £9,650. We then lost Chiraag Thanki in 7th for £13,100 & Jamie Roberts in 6th for £16,670. The final five players played on for an hour or so before chopping the money £45,000 each and an extra £38,000 for the winner. Marc Wright then busted in 5th, running 2-2 into David Barracloughs J-J, then his A-Q losing to Martins K-Q. Martin rivering a straight. 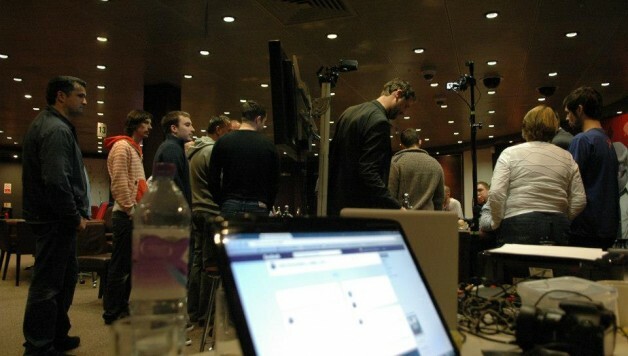 The players then chopped again, each deciding to take £50,000 and playing on for £18,000. Jeff Duval was next to leave, moving in after flopping a straight draw, being called by Martin who had the same straight draw but with a high card Ace. Martin rivered an Ace for good measure and Jeff would bust in 4th. Paul Alterman was next shoving on the big blind with Qh–9h and being looked up by David who held Ah–3c. The flop was a great one for Paul without actually him improving his hand as it came 10d–8h–3h, giving him flush and straight draws. He would brick out and leave in 3rd. David then held a 6/1 chip lead over Martin as they went heads up. Martin quickly won a flip and he was right back in it. They then did another chop, David taking £62,000 total and Martin taking £56,000. A few more shoves from Martin would help as he started picking up pots here and there. Then the turning point in the heads up battle was Martin shoving on a 10–10–3 flop with 10–2 and being called by David with A-K. This gave Martin over 6.4million against the 1.5 million. A few hands later David moved in with K-5 and Martin made the call with A-9. Ace high held and we had a new champion!! Well done to David Barraclough, he played a fantastic game and took home the most money, £62,000. A massive congratulations to Martin Bader who takes home £56,000, the trophy and the title. He will always be known as GukPT London Main Event Champion 2013. That’s our coverage finished for another leg. I hope you will join us again for the £500 Main Event in Didsbury in April. From everyone here at the GukPT, be lucky. 04/03/2013 00:59 – We Have A Winner!! All in and a call!! The board runs out 4–4–Q–Q–3. Ace high holds up for Martin and we have a champion!! David Barraclough finishes in second place taking home the most money as he leaves with £62,000. Martin Bader is the London GukPT Main Event Champion 2013 taking home £56,000!! 04/03/2013 00:50 – New Chip Leader!! Martin makes it 200,000, David three bets to 500,000 and Martin calls to create a 1 million chip pot. David leads out for 600,000, Martin then moves ALL IN!!! David asks for a count, it’s 2,245,000 more… He thinks for a few minutes before making the call. Martin stands up and slams his cards down!! He tables 10c-2c for trips!! David shows Ad–Kd for Ace high. The turn card is a 3 giving Martin a full house. The river card is meaningless as David can not win. Martin is now up to 6.6million!! David is down to 1.5million. Chips going back and fourth at the minute heads up, neither player is dominating the contest. Another chop has been made between the two players. David who is chip leader will be taking home £62,000, Martin will take home £56,000. That’s all the money sorted, they are now just playing for the trophy, title and seats into the grand final. 04/03/2013 00:22 – First Heads Up All In!! Three hands into heads up play we have an all in and a call!!! The board runs out J–2–4–K–4. Martin doubles up to 2.2million and is back in the game!! David Barraclough limps in the small blind, Paul Alterman moves all in from the big blind and David makes the call!! The flop comes 10d–8h–5h, Paul flops a flush draw and a gut shot straight draw. The turn card is King of spades. The river card is a black 6. Paul misses his a million outs and is eliminated in 3rd place he takes home £50,000. David Barraclough now has 6.8 million!! Heads Up!! Players are back seated as we begin level 27. Blinds are 30,000-60,000 with a 8,000 ante. Break time for the remaining 3 players as they take 15 minutes. 03/03/2013 23:40 – Jeff Duval – 4th. Martin Bader and Jeff Duval see a flop of 3–4–5. All the money ends up in the middle between the two players, Jeff shoving 700,000 and Martin making the call. Jeff tables 6-8 for the open ended straight draw. Martin shows A-6 for the same draw, with Ace high, he is ahead. The turn card comes a Jack. Martin Bard takes the pot with top pair. After Marc Wrights elimination another deal has been done between the four remaining players. They are now taking £50,000 each and the winner will take an extra £18,000. Martin Bader raises to 200,000 from early position, Marc Wright moves all in from the big blind and Martin makes the call. Marc looks good for a double up as he tables A-Q against the K-Q. The flop comes 9–10–4 all hearts. Neither player has a heart. The turn card is the three of hearts. The river a JACK!! Martin rivers the straight to take the pot. Marc Wright heads out in 5th place taking home £45,000. 03/03/2013 23:25 – New Chip Leader! Marc Wright and David Barraclough get it all in pre in a button vs big blind hand. David has J-J vs the 2-2 of Marc. The board runs out 4–K–K–3–6. David takes the pot with two pair, doubling to 3 million chips and is now chip leader!! Marc is down to just 700,000. 03/03/2013 23:15 – Deal Done!! A deal has been done between the five remaining players!! They will all take £45,000 each, leaving £38,630, which will go to the winner!! Well done to the five players. Action really slow at the minute the clock has been paused as the players talk about a deal. Martin Bader opens making it 120,000 to play, directly to his left David Barraclough moves all in!! Martin asks for a count, it’s 687,000 more….. Martin tanks for a few minutes before making the call!! David proudly turns over ACES. Martin is in serious trouble as he shows A-J. Martin asks for a 4. The turn comes a four. Martin then asks for a 2. The river comes a Seven. David Barraclough doubles up to 1.6million!! Martin is down to 1.2million. Blinds Up as we begin level 26. They are now 25,000-50,000 with a 6,000 ante. The board runs out Q–10–10–5–3. Jamie Roberts busts in 6th place taking home £16,670. Paul Alterman makes it 80,000 to play, Martin Bader calls from the small blind, short stack David Barraclough then squeezes all in from the big blind for 450,000. Paul gets out of the way before Martin makes the call. It’s a classic conflip as Martin tables 7-7 against the A-J of David. The flop comes A–Q–8. No sweat for David as he flops top pair, he now only needs to dodge two outs. The turn card is a Jack, giving David two pair. The river card a 3. David is now up to 1.1 million. The very next hand we have another all in and a call!! Jeff Duval is the player at risk with 9-9 vs the K-K of Jamie Roberts. This is for a 1.1million chip pot. The flop comes A–10–Q. Kings still ahead for Jamie. The turn card is a NINE!!! A cheer from the rail as The Vic local hits a two outer. He now needs to dodge a Jack or King on the river. The river card is a 3. Jeff Duval doubles up to 1.1million. Jamie Roberts is left with 770,000. Martin opens to 110,000 from earlier position, chip leader at the start of the day Chiraag Thanki moves all in from the big blind, Martin asks for a count, it’s 550,000, he makes the call. Chiraag is ahead as he tables A-9 up agains the K-Q of Martin. The flop comes 10–Q–7. Martin takes the lead with top pair, Chiraag will now need an Ace to survive. The turn card is a 3 changing nothing. The river card a 7. We lose Chiraag Thanki in 7th place he takes home £13,100 for his efforts. Paul Alterman opens the action making it 82,000 to play, Marc Wight three bets in position raising to 196,000, Paul thinks for about a minute before making the call. Paul checks to Marc who fires 160,000 at it which is quickly called. The turn card comes Jd. Paul again checks to Marc who barrels again, this time 245,000, Paul snap calls to create a huge pot. The river card is the eight of hearts. Paul checks and Marc quickly checks behind. Paul tables Q-J knowing he has the best hand and takes the pot increasing his chip lead, he now has 2.8million. Players are back seated as we begin level 25. Blinds are 20,000-40,000 with a 5,000 ante. Break time for the remaining 7 players as they take 15 minutes. Jamie Roberts opens the action making it 60,000 to play, he gets called in two spots, by Paul Alterman & Martin Bader. Jamie c bets putting in 100,000, Paul calls and Martin folds. The turn card comes a six. Jamie checks to Paul who bets 120,000, Jamie makes the call. The river card comes a 2. Jamie again checks, Paul announces all in for around 550,000. After two minutes of thinking time Jamie makes the call. Paul tables 6-6 for a set of sixes!!! Paul on the other hand is up to 2.1million. Marc Wright opens the action making it 60,000 to play, Jeff Duval makes it up in the big blind. Jeff checks to Marc who bets 56,000 Jeff calls. The turn card comes another Ace. Both players check. The river card is a 10. Jeff is now down to 650,000. The flop comes Qc–5c–6c. David flops top pair but Marc picks up a flush draw. The turn card is a Queen giving David trips, he still needs to dodge a club on the river to survive. The river card is a seven. David Barraclough doubles up to 550,000 and is back in the game. Marc Wright still has 1.5million. Paul Alterman makes it 68,000 to play, Marc Wright who has played alot of pots with Marc three bets from the small blind making it 158,000. Paul thinks for a minute or so before making the call. Marc is first to act, he checks to Paul who bets 120,000. Marc quickly calls. The turn card is an 8. Both played check. The river card is a Jack. Marc shows A-7 for two pair which is good as Paul mucks. Paul Alterman is down to 550,000. Marc Wright makes it 60,000 to play from early position, action comes to Antonio Millan in the small blind who moves all in for 420,000!! Jamie Roberts enters the pot, just flat calling behind in the big blind. Marc asks Jamie how much he has, Jamie says “About 1 million” Marc then announces all in and Jamie calls to create a HUGE pot!!!! Jamie shows KINGS and will need help to survive. The flop comes J–K–6!! Jamie takes the lead with a set of Kings. Antonio picks up a straight draw while Marc has just one out to win the pot. The turn card is a 3. The river card is a 2. Jamie Roberts takes the pot and is our new chip leader with 2.6million!! Marc Wright is down to 1.3million. Antonio Millan leaves us in 8th place taking home £9,530. Blinds Up as we start level 24. They are now 15,000-30,000 with a 4,000 running ante. Commentary from WPT Poker Personality of the year Phil ‘The Tower’ Heald. David Barraclough & Chiraag Thanki have both been all in in the last few hands, looking for that much needed double up. No calls and they continue to play with 8 players. The next player eliminated will receive £9,530. Paul Alterman opens making it 60,000 to play, Chiraag Thanki moves all in, Marc Wright, postures up and asks for a count, its 247,000. He folds. Action comes back to Paul who calls. Chiraag has got it in at the right time as he tables KINGSS!! The board runs out 2–4–8–3–K. Top set for Chiraag as he doubles to over 500,000. Paul is down to 500,000. Marc Wright and Sin Melin have just been involved in a huge pot as the final table has started with a bang!! Marc opened the action from early position making it 50,000 to play, Sim called from the big blind. The flop came J–A–9. Sin checks to Marc who made a c bet which she again called. The turn card came a queen. Sin would again check to Marc who fired 113,000 Sin called. The river card came a meaningless 3. Sin checked to Marc who shoved all in!!! Marc quickly tabled 8-10 for the straight!!! Sin obviously disappointed tabled A-Q for top two, a hand she was never getting away from. She leaves in 9th place for £7,150. Marc Wright is now massive chip leader with nearly 3 million chips!!! 03/03/2013 19:25 – Final Table is off!! Blinds are 12,000-24,000 with a 3,000 ante. Jamie Roberts opens the action from first position making it 54,000 to play. Ashley Thompson then moves all in for 400,000. Action comes to Martin Bader in the big blind, who thinks for a few minutes before asking the TD to tell him how many chips he has, which is around 600,000. He then says call. Jamie folds and the cards are tabled. The turn card is a KING killing the hand and sending the pot to Martin. The river card is a meaningless 6. Ashley Thompson is our 10th place finisher taking home £5,560. We are now on a final table!! Full chip count and seating plan will be up ASAP. Martin Bader makes it 55,000 to play from the button, Jamie Roberts in the small blind moves all in!! Martin asks for a count, it’s 487,000 total, Martin thinks for another 30 seconds before making the call. Jamie tables A-J and is in trouble against the Q-Q of Martin. The flop comes K–3–10, Jamie picks up a straight draw and now has 5 outs. The turn card is one of them as it comes a ACE!!! Jamie Roberts doubles up to 980,000!! Martin is still chipped up with around 550,000. Short stack David Barraclough moves all in again from the button and is called by Chiraag Thanki in the small blind. We have a coinflip on our hands as David tables J-10 against the 5-5 of Chiraag. David will need to hit to survive. The flop comes 2–10–K, David takes the lead flopping middle pair. The river card comes a six! Gasps from the rails as they thought it was a 5. Chiraag hits the cross bar and hands over 180,000 to David who doubles to 370,000. Blinds Up now as we begin level 23. They are now 12,000-24,000 with a 3,000 ante. Jeff Duval makes it 70,000 to play, David Barraclough then moves all in for 184,000. Jeff says “I don’t want to call but I don’t think I can pass.” Jeff makes the call. David is in great shape for a double up as he tables A-Q against the A-Q of Jeff. The turn card is another 8. The dealer used to be a dealer and he does requests (stolen from TD Henry Wride) as a King comes on the river!! The two players chop the pot as we still have ten players remaining. Andy Efstathiou moves all in for his 1 big blind. He is called by Paul Alterman and Jeff Duval. They check down a board of 10–2–4–6–10. Jeff bets on the end and Paul passes. Jeff tables ‘The Doyle Brunson’ 10-2 for a full house. Andy mucks his hand and heads out of the tournament in 11th place for £4,470. 03/03/2013 17:52 – Efstathiou crippled! David flops top pair but Andy picks up a straight draw. The turn card is a 10 as Andy picks up two more outs. The river card is a Queen. David doubles up with two pair to 370,000. Andy is left with only 20,000!! Paul Alterman moves all in for 265,000 from the cut off, action folds round to Antonio Millan in the big blind who goes into the tank, after a few minutes he makes the call with around 450,000 behind. Paul is ahead with A-3 against the K-J of Antonio. The flop comes 5–10–9, Antonio picks up a straight draw and now has 10 outs. The turn card is another 9. The river card a 5. Paul Alterman gets a much needed double up and now has 520,000. Blinds Up as they increase to 10,000-20,000 with a 2,500 ante. David Rudling min raises in first position making it 32,000 to play, Chiraag Thanki then moves all in for 365,000, Martin Bader on the button makes the call. Action comes back to Rudling who then re shoves all in for 135,000 more. Martin again calls to creats a huge three way all in!!! Chiraag has the best of it with KINGS!! David needs help but has three overs with A-K. The board improves no one as it runs out 7–9–Q–9–3. Chiraag is now up to over 1 million chips. Martin takes the side pot and still has 650,000. David Rudling is eliminated in 13th place taking home £4,470. Apologies but I missed the hand but he lost Nick Crisp in 14th place for £3,970. Paul Attwood moves all in for 150,000 after a raise from David Barraclough, David makes the call. Paul tables Q-J and is up against the 3-3 of David. The board runs out 7–4–Q–5–10. Paul flops a Queen to survive. He doubles to 300,000 and is again back in the game. We continue with 14 players, Marc Wright leading the way. Jeff Duval has just turned to us and said “I don’t know what I want more, to win this or for Spurs to beat Arsenal” It’s only £103,000 for the winner of this tournament but I guess Spurs v Arsenal is quite a big game. He currently needs a bit of help as he has 300,000. Tottenham on the other hand don’t need help as they are leading 2-0 up at HT. Tamer Kamel moves all in for 150,000. Marc Wright finds a hand again as he also moves all in!! The cards are tabled, Tamer is dominated and will need help to survive. The board runs out 2–10–5–5–8. Marc takes the pot and recovers some of the chips he just lost. Tamer Kamel is eliminated in 15th place for £3,970. David Barraclough open shoves for 284,000 and is called by Marc Wright in the small blind, the big blind gets out of the way and the two players are flipping for 580,000 pot. The board runs out 10–5–5–6–Q. David Barraclough doubles up to 580,000 while Marc drops to 1.2million. Action is folded round to Marvin Rettermaier in the small blind who moves all in for around 150,000. Martin Bader in the big blind makes the call and the cards are tabled.. The flop comes K–6–Q, giving Marvin a straight draw. The turn card is a 9. The river card another 6. Sevens hold for Martin who takes the 300,000 pot. Marvin Reittermaier is eliminated from the tournament in 16th place for £3,180. Players are back seated as we begin level 21. Blinds are now 8,000-16,000 with a running 2,000 ante. Break time as the players take their first 15 minute break of the day still 16 remaining. Chiraag Thanki makes it 24000 to play from early position, Marvin Rettermaier three bets to 54,000, action then comes to one of the shorter stacks in the tournament in the small blind, Jamie Roberts, he four bets all in for 305,000. Chiraag then also moves all in!! Marvin goes into the tank with about 200,000 behind, he makes the fold and the others two players table their cards. The flop comes K–Q–J. Jamie flops top set, but Chiraag still has four outs, any ten would give him a straight. The turn card comes another Jack giving Jamie the full house. The river is a ten giving Chiraag a straight which is no good. Jamie Roberts takes the pot, doubling up to 660,000!! Chiraag takes a small dent, but still has 600,000. Andy Efstathiou makes it 30,000 to play, Marc Wright asks him how much he has left, Andy is playing around 240,000 behind. Marc three bets to 70,000. Andy checks his cards and says this is an all in or a fold. He then pulls a pound coin out his pocket, flips it looks at it, fist pumps and folds. I’m guessing he didn’t want to stick it in there and he decides to wait for a better spot. Marc Wright moves over a million chips, taking the pot and showing the seven of spades. Still 16 players remaining 30 minutes into level 10. We haven’t had any real big hands, plenty of three and four betting though, especially on table 8, which includes Chiraag, Ashley & Marvin. Marc Wright is the current chip leader with just less than a million chips. The short stacks are Andy Efstathiou, Nick Crisp & Paul Attwood with around 300,000 each. 03/03/2013 15:05 – Blinds Up! Blinds up as we begin level 20. They are now 6,000-12,000 with a 1,500 ante. 16 players remaining. Average stack is 496,000. Action is folded round to Jamie Roberts who makes it 20,000 to play in the cut off, Ashley Thompson directly to his left three bets to 45,000. The blinds get out of the way before Jamie clicks it back making it 78,000 to play, Ashley makes the call in position as the two players see a flop. Jamie needs little thinking time before betting 82,000, which Ashley calls. The turn card comes the King of clubs. Jamie again fires, again 82,000, leaving himself about 360,000 behind. Ashley again makes the call leaving himself with 300,000. The river card is an interesting one as it comes the Jack of clubs. Jamie opts to check to Ashley this time. Ashley checks out Jamies stack, before moving all in!! He starts to shake as it puts his chips across the line. Jamie takes a few minutes, studying Ashley looking for any kind of tell that will make this decision easier to make. He eventually makes the fold and Ashley takes the pot. Ashley (right) is now up to 850,000 , while Jamie (left) is down to 360,000. I rush over to the table to see Kevin Williams all in with Ad–4h from the big blind against the 9c–9d of Sin Melin. The flop comes 5d–Jh–6h. Nines still infront for Sin. The turn card is 3h, giving Kev flush and straight draws. The river is a brick as it comes a four. Kev makes a pair but it’s no good. He leaves us in 17th place for £3,180. Sin Melin (below) is now up to 500,000! Steve Watts and Tamer Kamel get involved in a raising war which sees Steve move all in and Tamer make the call. Steve is in bad shape with A-Q against the pocket KINGS of Tamer. The board runs out 7–K–Q–A–5. Steve makes two pair but it’s no good as Tamer makes a set of kings. Steve Watts is eliminated in 18th place for £3,180. Action is folded round to Greame Ladd on the button who moves all in!! Paul Alterman makes the call and the cards are tabled. Greame admits he was blind as he shows 7-3, he is up against the A-9 of Paul. No help for Greame on the board as Ace high holds up. He is eliminated in 19th place for £2,780. Paul Attwood again moves all in, this time for 140,000!! Leslie Packer just says call, he has Paul covered and leaves 18,000 behind. Tamer Kamel also makes the call to create a 450k pot!! Tamer puts Leslie all in and he puts his 18,000 into the middle all three hands are tabled.. The turn card comes a 3. Paul Attwood takes the main pot and now has 450,000!! 10 times what he started with. Tamer Kamel takes the small side pot as Leslie Packer is eliminated in 20th place for £2,780. Marvin Rettermaier makes it 20,000 to play, he is called on the button by Martin Bader before Alex Lindop moves all in for 130,000. Marvin makes the call and Martin gets out of the way. It’s a classic flip as Alex tables 6-6 against the K-Q of Marvin. The flop comes A–2–10, flopping Marvin four more outs with a gut shot straight draw. The turn card is a 4 changing nothing. The river card is a QUEEN!! Marvin hits the river to take the pot. He is now up to 500,000. Alex ‘Podnil’ Lindop is eliminated in 21st place for £2,780. 03/03/2013 14:05 – Attwood doubles! Paul Attwood gets it all in with Kd-3s vs the Ah-6h of Antonio Millan. Three diamonds on the flop and then another diamond on the turn means Paul Attwood gets a much needed double up to 100k. 03/03/2013 14 – Shuffle Up & Deal! Play is now underway, blinds are 5,000-10,000 with a 1,000 ante. Players have just been called in to the cardroom to unbag their chips, we should be underway bang on time at 2pm. The live stream is up and running and will be available all day until we crown a winner, at the link below. This is it, the day where every poker player wants to be, the final day of the tournament. 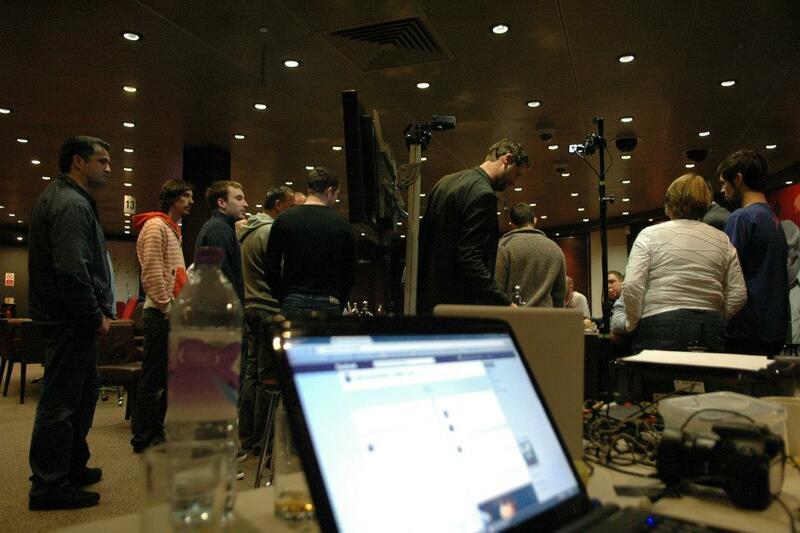 We have 21 hopefuls coming back today all with the same plan to be GukPT London Champion 2013. Only one of them will be walking out the casino with that title. Chiraag Thanki leads the players into battle today with a stack of 762,500, closely followed by David Barraclough with 617,000 and Tamer Kamel with 570,000. On the other end of the chip counts we have the players who need help, Paul Attwood 46,000, less than 5 bigs. Graeme Ladd 137,000 & Alex Lindop 147,000. It should be a fantastic days poker with other names such as Marc Wright, Steve Watts, Kevin Williams, Jeff Duval and Global Poker Index #1 Marvin Rettermaier. Play will kick off at 2pm. 02/03/2013 22:58 – Day 2 is Done! Day 2 of the Main Event here at the Vic has finished after nine levels of play. It was the most manic day in GukPT history as we lost 50 players in the first two levels and after four and a half we had lost 100!! Although we all knew it was going to be impossible to make the final 9 players. We finished the day with 21, who will all be coming back tomorrow to fight it out for the £103,000 first placed prize, the trophy and the title as the first winner of 2013. The bubble was burst within 20 minutes of bubble play after Umberan Akhtar got it in with AQ vs the KQ of Marvin Rettermaier. King on the flop and Umberan would leave the tournament in 39th place, empty handed. Chiraag Thanki (above) leads the 21 hopefuls back tomorrow for a 2pm start. We will have the live stream running so you can watch who takes it down. With a host of names still left in, we should be in for a good one. I hope you join us then. The clock has been paused with 7:50 remaining. A three has been chosen. Three more hands on each table then we are done for the day. Paul Alterman & Pantelis Christodoulou has around 140,000 and is in great shape for a double up as he tables pocket Queens against the nines of Paul. That is until the dealer burns a card and deals a flop, the first card out is a NINE, followed by a King and a Jack. Paul flops a set, but Pantelis picks up a gut shot straight draw. The river card is 4. Unlucky for Pantelis Christodoulou as he heads out in 23rd place for £2,780. Two more exits as we lose Georges Tohme in 25th and Rhys Jones in 24th, both taking home £2,380 for their efforts. Tore has the best of it with pocket Queens against the Jacks of Nick. That is until the flop comes 3–J–6. The turn card comes a 7. River card a two. Nick hits a two outer to take the pot and just has him covered. Tore stands up puts his chair in and walks to the cashier desk to collect £2,380 for finishing in 26th place. Chiraag Thanki makes it 16,000, Gary Jones moves all in for exactly 100,000, Chiraag thinks for a minute or so before making the call. Gary is ahead with his A-Q vs the K-J of Chiraag. JACK on the river sends the pot to the chip leader Chiraag. Gary Jones is eliminated in 27th place for £2,380. Players are back seated as we begin level eighteen. Blinds are now 4,000-8,000 with a 1,000 ante. 29 players remaining. This is the last level of today. 15 minute break for all the players before we start the last level of today. Bruce Atkinson squeezes all in after an open from Chiraag Thanki and a call from Kevin Williams, Chiraag then re-raises to isolate and Kev gets out of the way, on your backs.. The flop comes 4–6–10 all clubs, but neither player holds one. The turn card is a Jack. The river card an 8. Chiraag takes the pot with a pair of tens, he now has around 650,000!! Bruce ‘Elvis’ Atkinson heads out taking home £2,380 for his efforts. 02/03/2013 21:10 – Bubble Bursts! The board runs out 6–6–2–3–9. Rhys Jones wins the coinflip doubling up to 150,000. Marc still has around 800,000. 02/03/2013 20:29 – Wright Side Of Huge Pot!! Well after 20 minutes of bubble play the bubble has burst, during the first all in and a call we had. The board ran out 6–K–3–5–2. Marvin hit a three outer and took the pot. Umberan Akhtar is our bubble boy, leaving the tournament empty handed. Richard tables A-Q against the 10-10 of Marc. Well all is quiet on the tables as no one wants to be the bubble boy or the bubble bubble boy. Then we had two all ins, one on each table. First was on table 8. Stephen Bean made it 12,000 from the button, Fernandez Millan shoved his 50k stack all in and Stephen called. 5-5 for Fernandez who was drawing to two outs. The board ran out 5–4–A–J–6. Fernandez got his much needed double and now has 100k, Stephen is left with 110,000. On the other table we had a class coinflip. A-J for Gary Fisher – 10-10 for James Greenwood. The board comes down A–Q–J–6–5. Gary flops two pair, doubles up to 80,000 and survives…. We continue the game with 40 players. We have lost W. Sawaya, Gerasimos Deres & Chris Bjorin from the tables. With their eliminations we are now down to 40 players. One player off the bubble and two off the money. Players are back seated as we begin level sixteen. Blinds are 2,000-4,000 with a 500 ante. We have 43 players remaining as we lost Shola Akindele the last hand before the break. Break time for the remaining 44 players as they take 15 minutes. We have 44 players remaining. 38 will be getting paid. Marc Wright opens, making it 6500 to play, Marvin Rettermaier flat calls, action then comes to Naresh Advani in the big blind who SHOVES for 260,000!! Marc is shocked by this, stands up from his chair before also announcing all in. Mad Marvin starts laughing to himself and says “Why does this always happen to me? ?” He then folds face up, showing Queens!! The board runs out K–8–6–4–J. Naresh misses his three outs and heads out of the tournament. Marc Wright is now just chip leader with around 700,000!! 02/03/2013 18:21 – Chip Daddy! I get to the table as all the money is in the middle already on a board of J–10–2–10 board for a massive 400,000 pot!! Ashley Thompson has the best of it with J-J for a full house against the A-10 of Martin Henderson. The river card is an 8. Ashley wins the hand with a boat as Martin shakes his hand and pushes the chips across to him. Ashley (pictured before this big pot) is now our run away chip leader with around 600,000!!! Play has become alot slower since the break which is what you would expect after losing 100 players in 4 and a half hours of play!! The last four eliminations from the field were.. Sergio, Aidoespina, Leon Louis, Manig Loeser & Paul Byrne. Blinds Up as they increase to 1500-3000 with a 400 ante. Due to massive technical difficulties through the serve we are using to stream our feature table we have had to close down the stream for the night as it was not up to the standard we wanted. We will now continue to do updates through videos which will all be posted on the blog, facebook & twitter, so keep an eye out for them. Big apologies from everyone here. 02/03/2013 17:30 – Huge Pot!! Jeff Duval (pictured middle) is in bad shape with A-Q vs the K-K of Marc Wright (pictured left). That is until the flop comes A–4–J! Jeff flops the three outer to take the lead. The turn card is a KING!!! Marc re takes the lead by hitting a two outer!! The river is a 6, helping no one. Marcs chips are counted and he has 180,000. Giving him a double to just over 365,000. Jeff Duval still has a healthy stack of 200,000. On table five John Eames and Neil Channing are discussing re entries and if it’s good for the game. The table was in fits of laughter!! Channing is always good for some banter, whether it’s at the tables or on twitter. Players are back seated from their dinner break as we begin level 14. Blinds are 1200-2400 with a 300 ante. Break time for the players as they take a 45 minute dinner break. In a raise pot the flop comes 10–7–4. Carlo Citrone makes a c bet of 10,500, Tai Tran raises to 25,000, Carlo moves all in and Tai makes the call. Carlo tables Queens and is in good shape against the K-10 of Tai. The turn is an Ace. Queens hold for Carlo as he doubles to 110,000. Tai is down to just 7,000. Wei Deng Wang gets his last 30,000 in the middle with a flush draw on the flop against the top pair of Manig Loeser. He bricks up out on the turn and river as Wei heads out. Manig (right) who finished second against Praz Bansi here in 2011 is now up to 100,000 and dangerous!! The stream is down at the moment. There is a problem with the server we are using, which is out of our control. It will hopefully be back up with you ASAP. 02/03/2013 15:40 – Sick 260k pot!! Kevin Allen has just been over to tell me about a HUGE pot he just lost to David Rudling. David hits an Ace and he is now chip leader on 330,000!!! The reigning champ from last season Robin Keston has just been eliminated from our feature table by Jeff Duval who is now up to 275,000. Which means we will have a new champ!! Blinds Up as they increase to 1000-2000 with a 200 ante. The average stack is 95,700. Another crazy level last level as we lost 26 players!! Matthew Davenport makes it 3200 to play from early position and gets one caller in Chris Bjorin, directly to his left. The two players see a flop of 7–4–4. Matt makes a continuation bet of 6200, Chris bumps it up to 12500 and Matt makes the call. The turn card comes a King. Matt tables J-J and has two outs to the A-A of Chris. The river is a 5. The stacks are counted and Chris has Matt covered. Matt Davenport one of the most consistent players on the tour last year is eliminated from the tournament. Chris Bjorin (right) is now up to 85,000. The £200 one day side event starts at 4pm!!! Not 6pm as some people have been saying. This is a one day event. Starting stack is 10,000 on a 25 minute clock. We hope to see you here, this side event will be just as busy as the ones earlier in the week. Players are back seated as we begin level 12. Blinds are 800-1600 with a 200 ante. Well that was a manic two levels of play as we lost 50 players!!! Nathan Lee short stacked gets his last few thousand in the middle on a flop of 9–5–6 with 9-7 for top pair and a gut shot, he is called by Shola Akindele with 6-6 for middle set. The turn card is a 2. The river card is another Nine. Shola rivers a full house and takes the pot, she is now up to around 110,000. Nathan Lee heads for the exit door. Marc Wright (left) started the day 9th in chips on 113,000. He has had a good day so far and is up to 200,000. He’s chipping up well and is very dangerous with chips. Still 114 players remaining I’d be picking him as one of the favourites. Jeff Duval to his right started the day with 77,000 and has also chipped up well as he is up to 170,000!! These two are up there with the chip leaders. Andy Georgiou has just turned up, over an hour late. He thought it was a 2pm start. Unfortunately Andy only made it through with 9,000 chips and has already been blinded out. We thought it was uncharacteristic of him to not turn up and this is the reason why. Blinds Up as they increase to 600-1200 with a 150 ante. We have 133 players remaining. 02/03/2013 12:12 – Live Stream! Cards are in the air and we are underway. Blinds are 500-1000 with a 100 ante. We have 158 players remaining. It should be pretty manic in the first level, my guess is we will lose around 20 players. Players have just been called in to take their seats and unbag their chips. We should be starting bang on time at 12pm. Welcome back to Day two of the GukPT Main Event here at The Vic casino in London. A massive turnout for the first main event of 2013 with 397 entries creating a prizepool of £397,000 to play for, with the eventual winner taking home £103,000 on Sunday evening. We have 158 hopefuls coming back today all with the same aim of still being in with a shot to take down the title on the Sunday. Blinds will be starting at 500-1000 today, with the average being 50,000 we should be in for a fantastic days poker. Rhys Jones leads the field with a shade under 150,000. Other players to watch out for with big stacks today are Kevin Williams (115,100), Marc Wright (113,425), Marvin Rettermaier (89,800) & Surinder Sunar (88,750). We also have a hell of alot of regular GukPT players still remaining in the tournament. 38 players get paid. We are 15 minutes before we kick off. 01/03/2013 22:55 – Day 1b is over! After Nine levels of play Day 1b of the GukPT in The Vic has finished with around 87 players. A massive 224 entries today, making the prizepool a huge £397,000, which is the biggest we have had for a £1000 buy in for a long time. The winner will take home a nice sum of just over £100,000!! There were plenty of big stacks who came out of todays play, with atleast 6 players having over 100,000 chips. Leading Day two will be Rhys Jones who managed to finish with a shade under 150,000 chips, he is at least 20,000 clear of any other player. We will be back tomorrow for another 12pm start where we will be playing 9 levels because it’s unlikely we will make the final table of nine players. Tomorrow we will also have a live stream up and running with commentary from none other than WPT Poker Personality 2012m Phil The Tower Heald. I hope you join us then. The clock has been paused and a six has been chosen, 6 more hands and we are done for the day. Dan Charlton gets his short stack of 9k all in pre flop in a three way all in!! He is ahead as he tables Queens against the 9-9 of Micket Peterson and 9h-10h of another player. Queens hold for Dan and he trebles to 30,000. Mickey takes the side pot and is left with just 10,000. No eliminations during that hand but we are losing them thick and fast as we get below 100 players. 01/03/2013 21:55 – 13 Exits in 15 minutes! Manic here in level 9. As we have just lost 13 players in 15 minutes!! The players below will not be making Day 2. Players are back seated as we begin level nine. Blinds are now 400-800 with a 100 ante. It’s Break time for the remaining 116 players as they take 15 minutes before beginning the last level of today. Black Belt Pokers Jamie Burland currently grinding a short stack of 14,000. Karoly Kiss opens the action to 1550 in late position, Sam MacDonald then moves all in for 10,000. Diego Arbuello picks up a hand behind and also moves all in, he has Sam covered, it comes back round to Karoly who folds and it’s on your backs..
Sam is in bad shape with Ah–5h vs the Kd–Ks of Diego. The turn card is 7d. That gives Sam the straight, but Diego picks up a flush draw. The river is the Jack of Diamonds!! Flush for Diego as he takes the pot, moving up to 32,000. Sam MacDonald is eliminated from the tournament. Bust outs from level eight. The final number of runners for the first main event of 2013 is 397!! Smashing the guarantee and creating a huge prizepool of £397,000. That means the winner will take home £103,000!!! Blinds Up as we begin level 8. They are now 300-600 with a 75 ante. We have 141 players remaining from the 224 that entered today. 01/03/2013 20:15 – More Bust Outs! More exits from around the tables…. 01/03/2013 20:05 – 50k Flip! Alex ‘Podnil’ Lindop and Luke Bindon get involved in a raising war which ends up in Luke moving all in and Alex making the call. The cards are tabled and we have a classic coinflip on our hands. Queens for Alex & A-K for Luke. The board runs out 4–7–J–8–9. Alex wins the coinflip to take the 50,000 pot, he just has Luke covered who makes his way towards the exit. Pokerstars online Pro Mickey Peterson who is hoping he runs better with his fourth bullet than his previous three. He currently has 10,000. Players are now back seated as we begin level seven. Blinds are 200-400 with a 50 ante. Break Time! Players are now on a 15 minute break. 01/03/2013 18:55 – Sapiano Survives!! Jan Bentsen starts the action making it 850 to play, Albert Sapiano (on his 4th and final bullet) moves all in for only 950. Faud Serhan then enters the pot, raising to 5100. Jan calls that bet and the two players see a flop. Faud leads out for 7,000, Jan needs little thinking time before moving all in for 40,000. Faud thinks for a minute or two, he has around 30,000, he then decides to make the call, on yours backs…. Faud tables pocket tens, It’s a good call as Jan only has 7-7, Albert has three outs as he shows A-7. The turn card comes a three. Giving Albert and Jan a gut shot. The river card completes the straight for both players as it comes a FOUR!! Jan is now one of the chip leaders with 80,000. Blinds Up as we begin the last level of late registration. They are now 150-300 with a 25 ante. We have 151 players remaining from the 207 that have entered so far today. The board runs out 7–Q–9–4–J. Tim takes the pot and is now up to 60,000. Matthew is eliminated from the tournament. Simon is down to just 5k. Simon Deadman who made just the four final tables last season, winning in Blackpool. He also come second in the champion of champions event. Simon currently grinding away on 20,000. Blinds Up as we begin level four. We have 156 players remaining from the 178 that have entered so far. After a 15 minute wander around the cardroom, I come back with blank notepad Not much happening out there at the minute as we close in on the dinner break. The food has just come out though, as is the norm at the Vic the players will be fed at the tables as there isn’t any room for them to hold a buffet for 180 players. We still have 45 minutes until we take our dinner break. Balint Pusztai gets his last 5k all in pre flop and is called by Andrew Silverman holding A-K, it’s a classic flip as Balint tables J-J. The flop comes 4–6–8. So far so good for Balint as his Jacks still have the lead. The turn card is a Queen. Close but no cigar for Andrew as he is still looking for one of his six outs to take the 10k pot. The river card is a KING!!! Andrew Silverman wins the coinflip to take the pot. Also to have been eliminated for the third time is Albert Sapiano, he has the opportunity to buy in again, but instead he has sat on the cash table. Although late reg is still open till 7:15pm. Angela MacFarquhar gets her last 3,000 in the middle on the flop of J–6–8 with two spades, holding A-9 of spades for the nut flush draw. She is looked up by Mario Trattou who tables K-J for top pair. The turn and river are both bricks and Angela heads out! We are now only 2 minutes away from our 45 minute dinner break. The remaining 155 players are now on a 45 minute dinner break. Players are back seated as we begin level three. We have 158 players remaining from the 164 that started. Four exits so far this level. They are John Griffin, Gabriel Dragomir, Paul Gill & James Akenhead. 178 entrants so far today, which creates a prizepool of £351,000 for the two days!! The blinds increase as we begin level two. 144 entrants so far today. We lose Eli Biessek from the field, the second player to be eliminated and also the second player to run into quads!! Eli flopped a set and turned a full house, unfortunately for her James Sullivan also flopped a set but turned quads!! He is now up to 40k, while Eli heads for the exit door. Three more exits in quick succession as we lose Terry Jordon, Luke Bindon & Martin Hogarty from the field. On a flop of 9–5–4 with two diamonds we have a three way all in!!! Sean Randall tables pocket fours for bottom set, Another player tables pocket fives for middle set and 2012 Grand Final champ Sam Grafton tables Ad-3d for the nut flush draw. The turn is a brick 7. The river is the Queen of diamonds!!! Sam Grafton rivers the flush to treble up to 30,000!! Sean Randall is eliminated from the tournament. First break of the day as the players take 15 minutes. We are back in the home of UK poker for Day 1b of the main event. 173 players turned out yesterday which was a massive number, more than most people were expecting. Today we hope for more of the same. We need 228 players to reach the 400 mark, which is not out of reach. Mark ‘dean23price’ Wright leads Day 1a with 113,000. With the average finishing at 50,000. Other notables still left from yesterday include Karl Mahrenholz, Jeff Kimber, Bruce Atkinson & Global Poker Index No#1 Marvin Rettenmaier. We hope to see more big names in today, with some players coming back for their third and maybe even their fourth attempt at what should be a huge prizepool!! Looking forward to what should be a fantastic days poker. We are 10 minutes until the kick off and there is a HUGE line at the cashier desk. At the moment it’s at least 40 players long. Some of the notables who will be taking their seats in the cardroom today…. Full seating plan will be up ASAP. Off we goooo, the cards are in the air and Day 1b is underway. There is still a queue of 30 players at the cashier desk. We are not playing 6 max, this is just the seating positions at the start of today, before the late entries started coming in. 30 minutes into level one and we are up to 131 players. That means the prizepool is now £302,000!!! Will Kassouf is playing today and is as cheerful as ever. He always plays the game how it should be played, with a smile on his face. I watched him play three hands on his table, winning all of them and using a different accent for his speech play on each occasion. He is one of the most entertaining players to watch just because of his speech play. After the third hand he won, he said to the rest of the table “Don’t worry lads, I’ve brought you all paracetamol, pulling them out of his pocket.” There is no doubt the rest of the table will need them.